See below for the latest news from Medequip. For upcoming events, please visit our Events Calendar page. Far from being trophies to collect for the cabinet, industry accreditations are highly sought after certificates that represent a commitment to standards, which in the healthcare and mobility sector, is especially important. Medequip was duly pleased therefore when it recently secured corporate accreditation for each of its community equipment services from CECOPS, the user-led independent certification and standards body, whose job is to raise the standard of all assistive technology related services across the UK. Aside from the prestige that comes with the accreditation from CECOPS, the achievement places Medequip in a stronger position during the tendering process for community equipment contracts. Therefore, along with the various ISO accreditations the company has achieved for a number of years, the importance of Medequip’s most recent milestone, and its significance for the business, should not be underestimated. The accreditation was not gleaned overnight however, and Medequip has undergone evolution and change to bring it to the position it currently sits at. Instrumental in leading some of the most recent developments, head of safety, health, environment and quality (SHEQ) and governance, Marie Martinalli, says that various improvement projects across the business have demanded hard work, time and resources. Building on the groundwork laid out by her predecessor, Martinalli says the team has spent time to ensure the systems at each of Medequip’s depots are lined up so that processes and procedures across the portfolio mirror each other. Consistency, she says, has been key to corporate accreditation. Because Medequip’s audits pull on clauses from across various accreditations, including CECOPS, it has made it easier to apply a comprehensive strategy across each depot and ensure each one is benchmarked the same. It seems that being proactive has been a core reason for Medequip gaining its latest accreditation and scrambling around weeks before an audit to get things in order simply will not cut it. But it is also important for organisations to work closely alongside the awarding bodies and know inside out the clauses they are working to. Only looking inwardly is not enough and Martinalli explains that open and frequent communication and engagement with CECOPS was pivotal when working towards corporate accreditation. Regular meetings and conversing even when an audit was not going on helped build an ethos of two bodies working in partnership and looking at evidence in unison. It is clear then that a lot of thought went into Medequip’s strategy for gaining its latest certificate and the benefits for the company are evident. Better standards should mean a better experience for the service-user which should theoretically improve business. But what does Medequip’s milestone mean for the rest of the industry? But the industry still has a way to go before standards are satisfactory across the board. Martinalli thinks the extent to which the industry must improve differs from on provider to the next, depending on what kind of foundation they have. She adds that as a company, Medequip likes to think that it is “quite open” and happy to advise and support other organisations, so long as there is not a conflict of interest, to help raise standards. She admits however, that companies can be limited by their resources and Medequip has been fortunate to have the financial muscle to be able to really invest in its accreditations. For a £160m business, you could rightly expect investment to be made in areas such as recruitment and improvement projects, but it is the level of detail that Medequip has gone to that really impresses. Staff training has been a core part of the business’s development and it continues to refine its training to the extent that staff are learning to train others. What’s more, the company ensures that each staff member really understands the accreditations and audits themselves and encourages them to become involved. While the corporate CECOPS accreditation and ISO stamps spell good news for Medequip, like any firm in the business of providing community equipment, there are common challenges it must overcome. A particularly topical issue is that of timescales and waiting times, which are a key concern for everyone in the supply chain, from CCG, to provider and ultimately the service-user. Where timescales are concerned, Martinalli says that Medequip works “extremely hard” and that with each contract while the CCG sets out KPIs, the provider has its own internal KPIs that are raised slightly higher. Aside from time constraints, Nigel Cook, director of HR and SHEQ, says that customer expectations, not just on Medequip, but on everyone in the sector, are becoming greater. Customers are expecting more in terms of cost, quality and service, Cook feels, meaning providers are essentially expected to do more for less. Naturally, this means efficiencies are increasingly important. While CCGs are naturally placing more focus on cost during the tendering process, each one operates independently and so providers have to remain flexible. Martinalli says that each tender’s requirements vary and more of them are now focusing on service-user engagement, which is something Medequip is aiming to respond to. For example, the provider is looking at using service-user forums which would mean greater feedback and input from end-users. But how far can a company like Amazon, arguably a logistics firm at heart, compete with established equipment providers that invest as heavily as they do in the service-user experience? While companies like Amazon may be perceived as ‘box shifters’ by some observers, the efficiencies they can offer can be attractive. Cook says that companies like Amazon do not have the experience of reverse logistics and the re-cycling of equipment required by the NHS neither do they have ethos required in the care sector to deal with vulnerable people with complex medical needs. In the interest of driving efficiencies however, providers like Medequip cannot simply keep bringing costs down indefinitely and remain sustainable. So what else can organisations do to get an edge on their competitors when tendering? Having achieved the corporate accreditation it set out for, Medequip’s sights are now set on further developing the business as much as possible and placing itself in a strong position for when more tendering opportunities inevitably arise. Martinalli says that on the accreditation side of things, Medequip is targeting ISO 27001, which relates to new GDPR regulations, as well as CECOPS approval for its wheelchair service in Suffolk. Aside from accreditation, Medequip’s natural goals moving forward will be winning more tenders but the two go hand-in-hand. Martinalli says that having robust systems in place already puts the business in a better position for getting more accreditations and therefore tenders. Finally, Medequip’s recent partnership with Cefndy Healthcare in Wales hints at scope for more partnerships on certain tenders. In today’s industry, companies must be prepared to compromise and work together on contracts and when the tendering opportunity came up in South Wales, Cook says it suited both parties. It is evident that Medequip is continually looking to diversify and evolve to stay ahead of the game. This has meant being proactive, flexible and open to change, which for one of the larger organisations in the sector, is admirable. More importantly though, its strategy for attention to detail, staff involvement and pursuit of approval from industry bodies, is setting a positive example for similar companies. While it admittedly has much greater resources than smaller firms who might be competing for contracts, lessons can nevertheless be taken from its model. If these lessons can help to raise standards and drive efficiency across the whole industry, then not only will service-users benefit, but the most innovative and responsible providers will reap the rewards. That can only be a positive direction for the sector to move in in what are very challenging times. New GDPR regulations that came into force in May saw businesses across every sector scrambling around to comply. For Medequip, which serves and holds the data for more than 14m people in the UK, the new legislation was a major consideration. Head of SHEQ and governance, Marie Martinalli, explains that Medequip placed itself in an “ideal situation” by strategizing its information governance (IG). Adopting the NHS IG Tool Kit has made the transition to the new legislation easier and it recently recruited an experienced new IG officer. But she admits that GDPR compliance has been harder for smaller independent companies that do not have the resources or systems to implement the necessary changes effectively. She says that many smaller businesses are still paper based and do not have the necessary governance arrangements, adding that the Information Commissioner’s Office could do more in this respect. Mobility retail is a growing market. Medequip’s Manage@Home arm is primed to capitalise on the increasing online spend of the consumer in this sector. Cook says retail has grown from nothing to £1.5m in just 5 years. Our amazing team of Mede-Mudders have hit their target of raising £4500 for Alzheimer's Society – Brilliant performance Guys and Girls! Thank you to all involved. In the UK, one person develops dementia every three minutes. Yet too many people living with dementia face the condition alone and excluded from society. Medequip have taken steps to create awareness amongst our staff to improve our understanding of dementia and the effects dementia has on family members and sufferers. We already have over 150 Dementia Friends within the business and we have a rolling program of Dementia Friend’s training sessions all our staff are encouraged to attend. To date we have raised over £20,000 for the Alzheimer’s Society through various activities including car boot sales, bake sales, sponsored walks and sky dives!! Monday 21 May - Sunday 27 May is Dementia Action Week and we have plenty going on to create awareness of the condition and support our nominated charity partner, Alzheimer’s Society. During Dementia Action Week we will be attending a number of events across the country to showcase some of our daily living aids that can help someone living with dementia. Medequip has branched out and is now working in Newport, Wales! Our first community equipment services contract outside England went live on the 1 April 2018. The Newport depot has a great staff team and as a ‘sheltered’ service provider, around 30% of the employees have learning or physical disabilities. This is a huge change for Medequip which we have embraced wholeheartedly by partnering with Cefndy Healthcare, who are dedicated to the task of creating meaningful, well paid employment for disabled members of the community, through achieving financial viability for its business and any associated social enterprise initiatives. Medequip and Cefndy have worked together for 25 years; we work on tenders/contracts together and have a sound supplier/customer relationship. This partnership will allow us to widen our geographic coverage of Wales as Medequip and Cefndy are keen to roll this operating model out more widely, providing a unique selling point for both businesses who feel strongly about helping individuals to remain independent for as long as possible, whether that be in the community or in employment. Cefndy and Medequip have formed a Consortium (aptly named Cefndy-Medequip) to provide this exciting and innovative solution for Gwent Wide Integrated Community Equipment Service (GWICES). The Consortium uses the positive disabled employment experience and Community Equipment Service (CES) product manufacturing capabilities of Cefndy and the extensive CES and logistics solutions experience of Medequip. The GWICES partnership which consists of the five Gwent Local Authorities and Aneurin Bevan University Health Board look forward to working closely with Cefndy-Medquip in providing a top class service to the service users and patients of the Gwent area. Please join us in wishing all the staff at our Newport depot all the best for the launch and continued operations of excellence conducted by the Cefndy-Medequip team. Local MP - Graham Jones Supports Medequip’s Equipment Recycling in Lancashire. To read the full article written by Jane Sandwood for Manage At Home, please visit the Manage At Home Blog. Medequip has received Prompt Payment Code approval administered by the Chartered Institute of Credit Management on behalf of the Department for Business, Energy & Industrial Strategy. Medequip – as the UK’s largest provider of Community Equipment Services is very proud of our efforts to maximise recycling and reuse equipment. Over 90% of equipment collected back from our clients is cleaned, repaired, re-packed and reused. Sometimes we do have products that are not able to be recycled for contractual reasons, and we therefore aim to find alternate uses for these items if at all possible, only diverting to material reclamation as a last resort. One example of this is our partnership working with Brighter Future in Skelmersdale, Lancashire. We work with them by providing equipment we can no longer use, but which they can re-build or salvage for parts in their workshop which employs young people with disabilities. They are an award winning social enterprise charity - that has been awarded The Queens Award for Enterprise in Sustainable Development and this year winners of the 2017 MRW National Recycling Awards Waste for “Electrical and Electronic Equipment Innovation” and winners of the 2017 North West Enterprise Awards for "Best Disability Aids & Equipment Recycling". 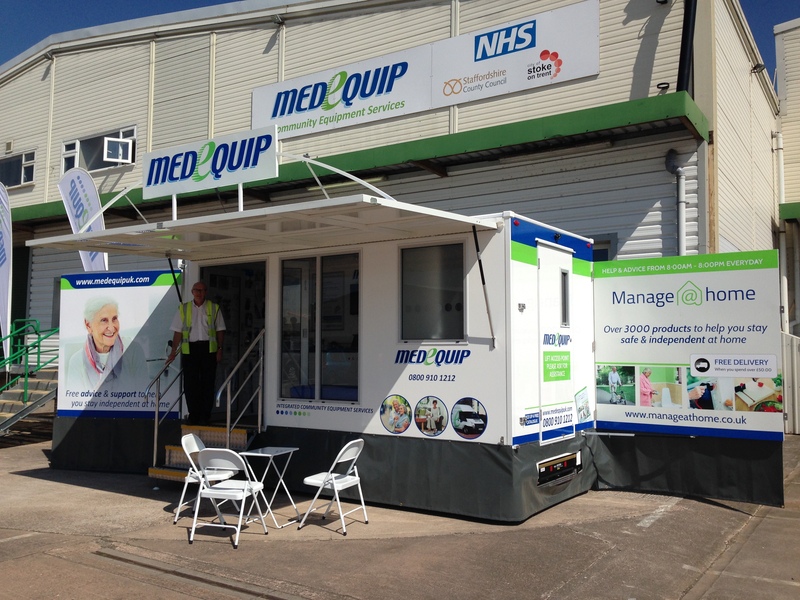 Medequip Assistive Technology Ltd deliver, install, collect service and decontaminate community equipment for our contracting customers, NHS Clinical Commissioning Groups and Local Authorities. Medequip reuse in excess of 90% of equipment collected. We abide by very strict safety and cost protocols agreed with each NHS/local authority customer regarding the scrapping of equipment which includes full authorisation by the customer. In addition, the majority of our customers incorporate financial terms which proactively incentivise Medequip to reuse as much equipment as is possible. Medequip will not reuse equipment that to the untrained eye looks in good condition if it represents a risk to our service users but we do re-use every piece of equipment where it is safe and economic to do so. NHS Vale of York Clinical Commissioning Group (CCG) has announced today that a new service provider is set to deliver Integrated Community Equipment Services for local health and social care equipment users across North Yorkshire. The project to commission a new Integrated Community Equipment service started in November 2015 when local Clinical Commissioning Groups (CCGs) and North Yorkshire County Council joined forces to call for the opinions of local health and social care equipment users, members of the public and clinicians. The information collected from conversations, surveys and drop-in sessions was used to form the basis of developing the new service. A formal procurement process to secure a new service provider for Integrated Community Equipment services was then undertaken. The provider has been confirmed as Medequip Assistive Technology Ltd. Commissioners look forward to working with the new provider in order to mobilise the new service, launching on the 1st December 2016. 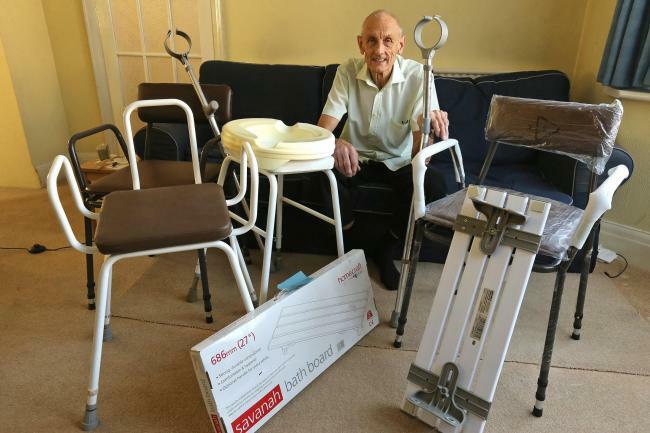 Health and social care equipment includes a range of products to assist independent living at home including mobility and communication aids shower chairs, perching stools, kettle tippers and pressure relieving mattresses. Andy Phillips, Head of Business Development for Medequip said: We are delighted to have been awarded the contract to provide the Integrated Community Equipment Service across North Yorkshire. As the leading provider of equipment services in the UK, Medequip Assistive Technology Ltd is well placed to deliver a highly efficient, cost effective service with courtesy and kindness, whilst helping to keep people independent for longer. Dr Lorraine Boyd, a GP working in Easingwold, North Yorkshire said: Mobility and communication aids help to support adults and children to live independently at home and these items help massively to provide that independence which is important to so many people. We have been able to commission services that have been driven by the needs of local service users and patients and I thank those members of the community who shared their views and worked with us to coproduce the specification for this new service contract. Paul Cresswell, Assistant Director North Yorkshire County Council said: The need to be confident and comfortable in your own home is key to living a happy and fulfilled life. The provision of equipment supports people to continue to live independently in their own homes for as long as they are able. This new provision ensures North Yorkshire County Council can continue to promote and support people to be independent through an improved service. The summit provides Community Equipment professionals a short, sharp forum to discuss the high level, burning issues affecting the delivery of services in the current challenging environment. Should the new goal of community equipment services be to encourage people towards self-funding and if so what can be done to help in this regard? Will future increases in Better Care Fund money end up as a myth that never quite materialises? Should training all Stakeholders, within the Adult Social Care & Primary Care system, on what Assistive Technology can do for independence be a central part of every workforce development plan? Over 70 delegates attended the event. We are proud to announce that we have, for the second time, retained our Derbyshire Community Equipment Service. The new service started in December and will potentially continue until 2023. Our Alfreton site was developed to accommodate the new contract and we are delighted that Derbyshire continues to be a major part of the Medequip Family. It is with great pleasure that we announce that we have been awarded a new contract for Derby City. As well as a retention of our existing Community Equipment Service, the new contract also includes the provision of the Minor Adaptations Service and we are currently developing our new Derby City site at Haydock Park Road to accommodate this. We look forward to supporting the people of Derby City for another five years. We are delighted to announce that we have been awarded the contract to provide the Community Equipment Service for Lancashire. Our Implementation Team will begin meetings in Lancashire after the Easter Break and the new service will go live at the end of June. The contract represents a significant expansion of the Medequip Northern Region and we look forward to welcoming working with all of our new colleagues in Lancashire. Medequip are delighted to announce the appointment of Mike West as Procurement Director with effect from the 11th January. 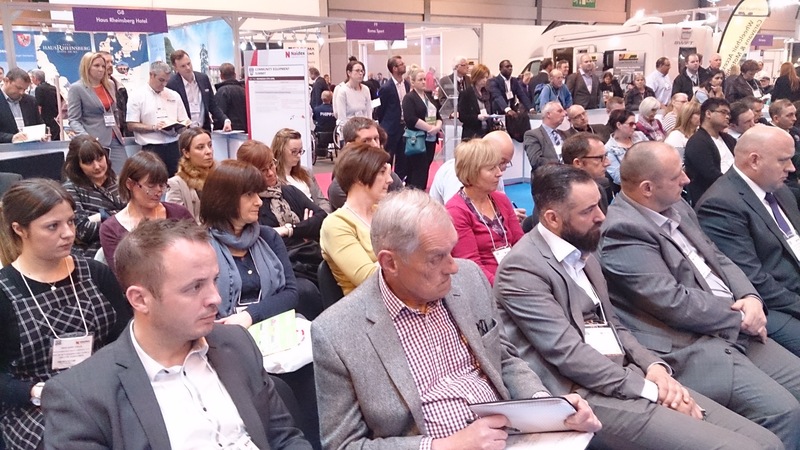 A new Community Equipment Professionals Forum will debut on 28 April at Naidex National 2015. Running alongside the annual exhibition, the summit provides a platform for community equipment professionals to explore the challenges and issues of delivering community equipment services within the context of the new care act. Matthew Tingey, event director for Naidex, said: The community equipment sector is estimated at well over £300 million and given that Naidex is the only show that brings Public, Private and 3rd sectors organisations in assistive technology together we are delighted to add the community equipment debate to the content agenda this year. Tingey added: The new care act is contributing toward more local authorities considering the move to tendering out community equipment services and this debate will be a part of debating the future for those providing services to local authorities and manufacturers supplying products alike. Delegates from across the community equipment sector will be invited to attend the forum chaired by David Griffiths. The chief executive of Medequip will be joined by a panel of five industry experts to debate the current implementation of community equipment services. Panelists confirmed to date include Helen Trousdale, commissioner for older people and market development at Staffordshire County Council and Debra Attwood - CES Commissioning Manager, Bedfordshire & Luton/Regional Chair NAEP. The forum will discuss how to move the subject of community equipment services higher up the health and wellbeing board agenda. Topics discussed by the expert panel include why do many local authorities continue to operate their services, such as telecare and community equipment, separately? Active participation from visitors is encouraged and delegates can take part in a Q&A session on issues raised in the debate. Specifically tailored for the sector’s challenges and concerns, the forum will provide an invaluable opportunity for community equipment professionals working in the sector to get up to speed with the latest developments. 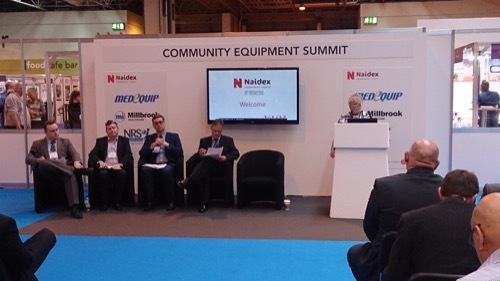 The summit is a Naidex show highlight and will be run in association with key partners NRS and Medequip and Millbrook all key providers of community equipment services. Visitors can also expect to find Naidex National’s popular conference programme at the event. The CPD-accredited Multidisciplinary Theatre will also showcase tailored content, on community equipment services, including the session ‘Home adaptations, Care Act and the Better Care Fund – time for revolution in delivery?’ delivered by Sue Adams OBE, chief executive, Care & Repair England. The dedicated conference programme runs over a number of theatres, including two theatres in the COT Zone delivered by the College of Occupational Therapists. Upcoming event that Medequip will be attending.